$25 in advance, $28 at the door. THREE DAYS OF RAIN by Richard Greenberg centers on Walker (Brian Lafontaine), his sister Nan (Caroline Bower) and their childhood friend Pip (Chris Speed), who all meet in New York to divide the legacy of their late fathers, who were partners in a renowned architecture firm. In an effort to bring some peace to their own lives, the three search for clues that might explain what had gone on between their fathers, and the women in their lives, decades before. The story then shifts to that earlier time, with the same three actors portraying the previous generation. 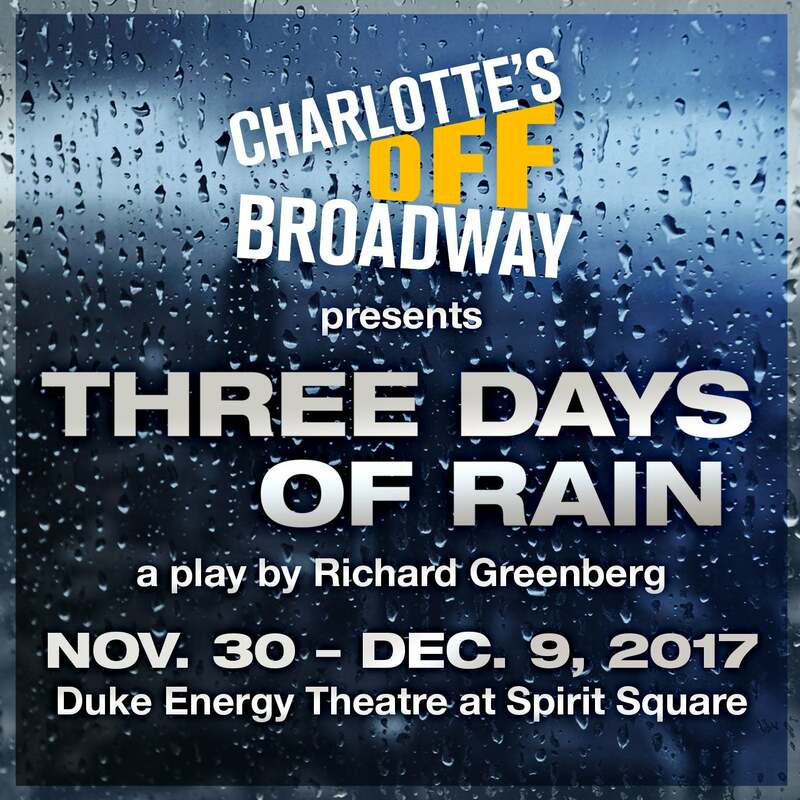 Charlotte’s Off-Broadway and producer Anne Lambert bring this Pulitzer Prize-nominated play to Spirit Square’s Duke Energy Theatre for 7 performances Nov 30 – Dec 9, 2017. Directed by Paige Johnston. Produced under a Special Appearance Agreement with Actor’s Equity. There will be a pay what you can performance on November 30 at 7:30pm.